Popping corn, or anything else, all comes down to pressure. 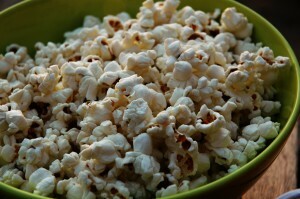 Pop-corn has a particularly impermeable pericarp (the corn kernel’s shell), so as it is heated, the water inside the kernel vaporizes into steam and the starch turns into something close to a liquid. Eventually the heat creates enough pressure to split the pericarp and the starch of the corn kernel bursts out, resolidifying into the distinctive shape of popcorn. If there is even the smallest hole in the pericarp, the steam can escape from the kernel as it’s generated so the pressure never builds up enough to explode the pericarp — the reason some kernels will fail to pop in every batch. The explosive build up of steam is also the reason tea kettles need to be able to release steam while they’re used to boil water. The alternative would be exploding tea kettles which are a lot more dangerous (and a lot less tasty) than exploding corn kernels. It was this reason (along with my discovery of the website on April 1st) that I was so suspicious of the idea of popped sorghum a few days ago. 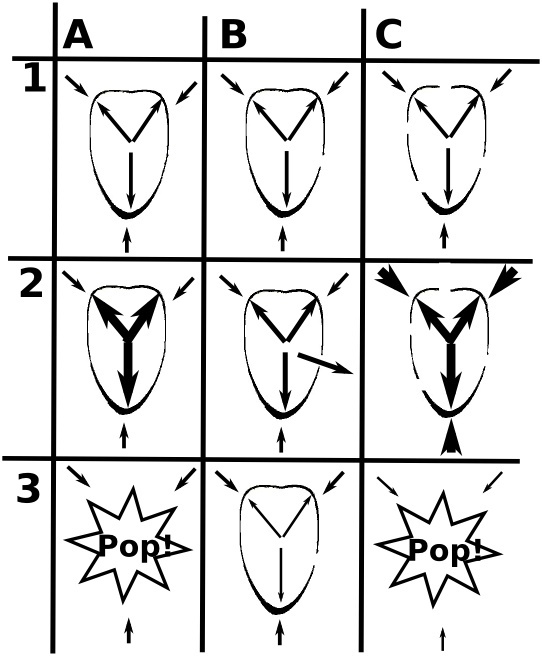 Thanks to Party Cactus and Jeremy, I now know that sorghum does indeed pop like corn (there’s even a variety called “Tarahumara Popping”) and, in fact, thanks to the link Jeremy provided, I’ve discovered that most grains and even some other things (including cowpeas!) can be popped using the proper equipment. By using a machine that is in some ways similar a pressure cooker, even grains without hard impermeable pericarps can be popped. The popping machine lets pressure rise equally inside and outside of whatever grain is being popped. When the outside pressure is released, the grains/kernels/seeds instantly pop. It doesn’t sound as visually satisfying at the pop-corn popper I remember from my childhood, where half the fun was watching in anticipation for the first kernels to leap into the air, but a very cool invention never the less. I’ll certainly be keeping an eye open for popped sorghum to show up out here in the bay area. A. 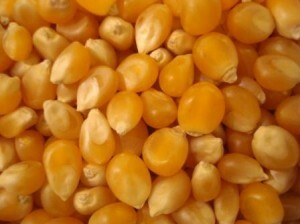 Normal popcorn kernel. Applying heat makes the pressure build up inside the kernel until the kernel pops open. B. A popcorn seed with a hole in the pericarp. Heat creates pressure, but it escapes through the hole so it never builds up enough to pop open the kernel. C. Even in grains with permiable pericarps, the pressure can build up inside, if the pressure outside is also high. Dropping the outside pressure suddenly still caused the grain to pop. I have a pressure cooker – I wonder if I might be able to pop some grains in there. Hmm. Popped quinoa any one?